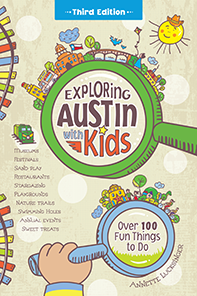 This festival has celebrated the simple joy of springtime kite flying since 1929, making Austin home to the longest continuously running kite festival in the country. 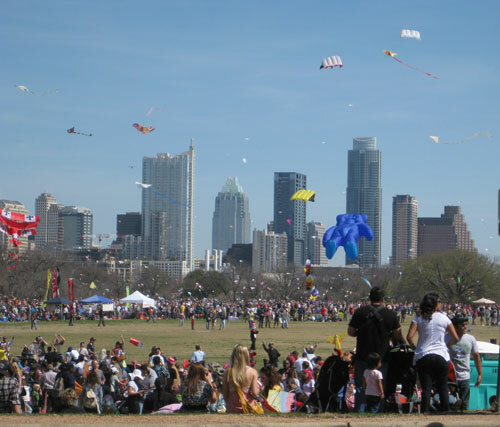 Zilker Park is dedicated to kite flyers and picnickers on this day. Contests for the highest flying, smallest, steadiest, biggest, and most unusual kites are held in the competitors’ field. Vendors offer food, drinks, and children’s activities nearby. If you’re willing to wait in line, a ride on the Zilker Zephyr offers a neat view of the entire event. With attendance ranging in the thousands, it’s best to arrive early. So pack a lunch, set up a blanket, and watch the largest range of kites you’re likely to see all year. Or bring your own and give it a go. Parking can be difficult, so go early or consider taking a shuttle for a minimal fee. Kids and dogs ride free. Note that Barton Springs Rd. is closed during the event.